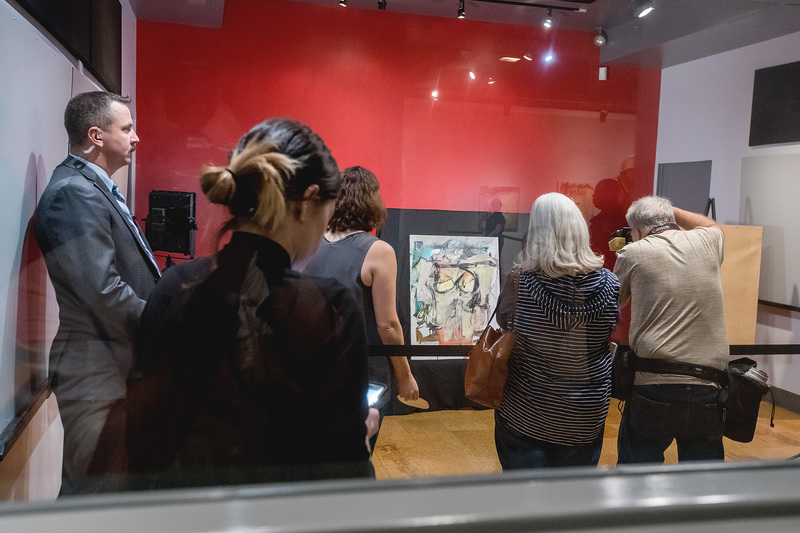 Homecoming, always a joyous occasion for alumni on the University of Arizona campus, took on a new form this week with the return of the long-lost painting "Woman-Ochre" to the UA Museum of Art. 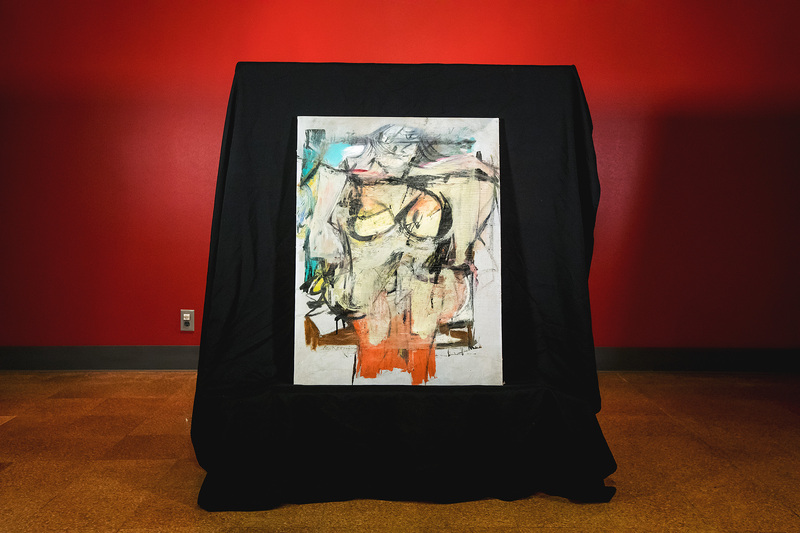 The Willem de Kooning work, stolen from the museum more than 31 years ago, was made available at UAMA on Monday for a few media close-ups after a news conference — and it looked good, all things considered. The recovery of the painting has received international coverage. 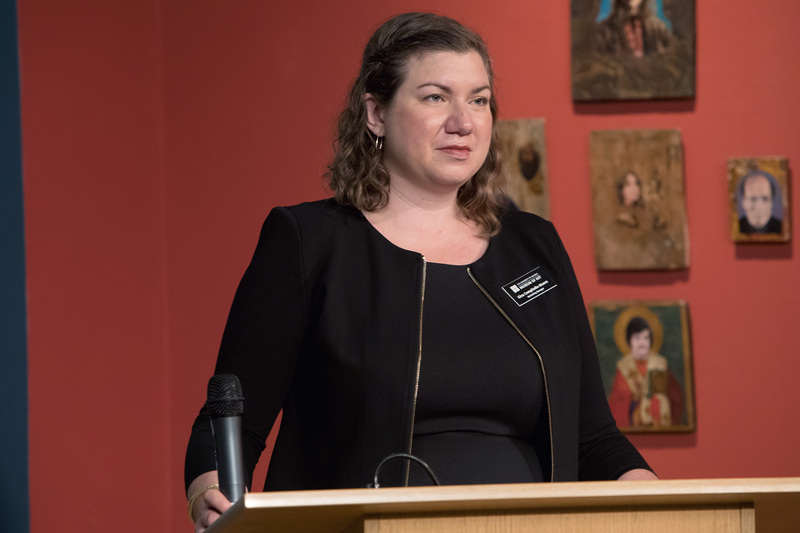 Conservator Nancy Odegaard, who performed the preliminary authentication on Aug. 9, said the condition of the painting is "stable" despite some damage at the time of the theft and also when it was reframed. It has horizontal creasing probably from being rolled up, she said, and it is brittle. 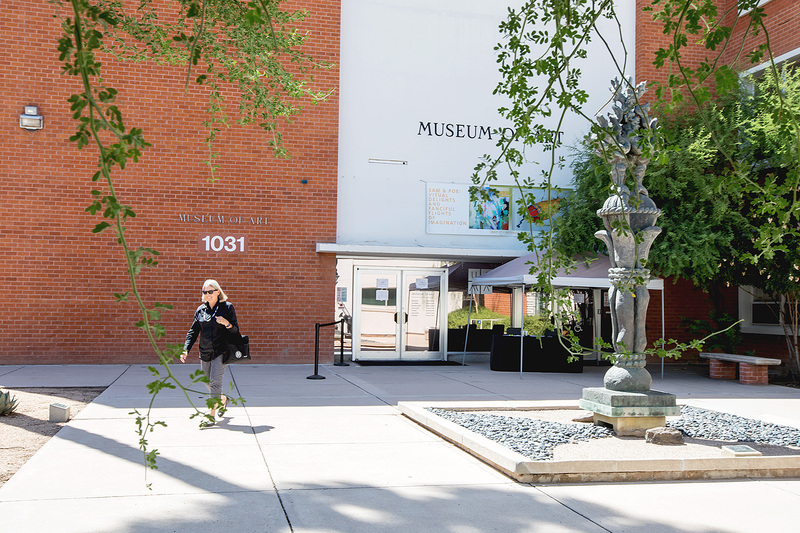 The museum now plans to contract with an oil-painting specialist, preferably one familiar with the works of de Kooning, for further evaluation on the road to restoration. 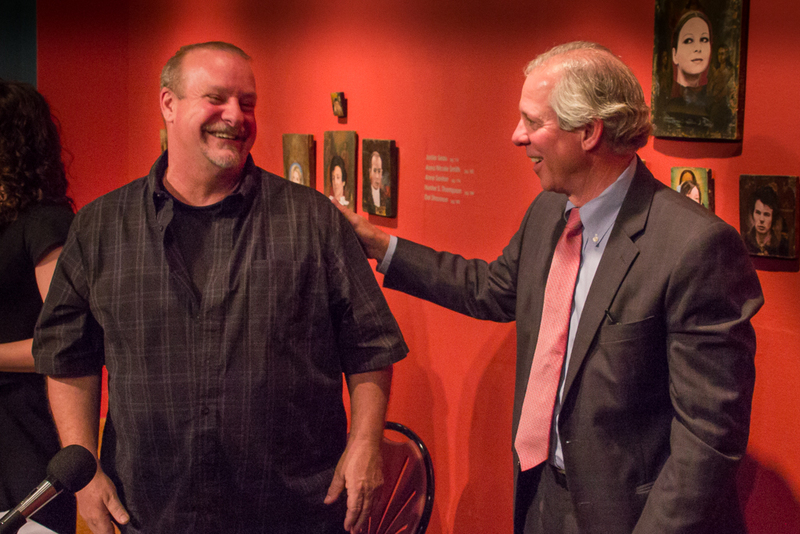 Two alumni of UAMA who couldn't have been happier were Lee Karpiscak and Josh Goldberg, who were on the museum's staff at the time of the heist as curator and curator of education, respectively. Both still live in Tucson and were on hand with their spouses, waiting in line with other special guests to view the painting. 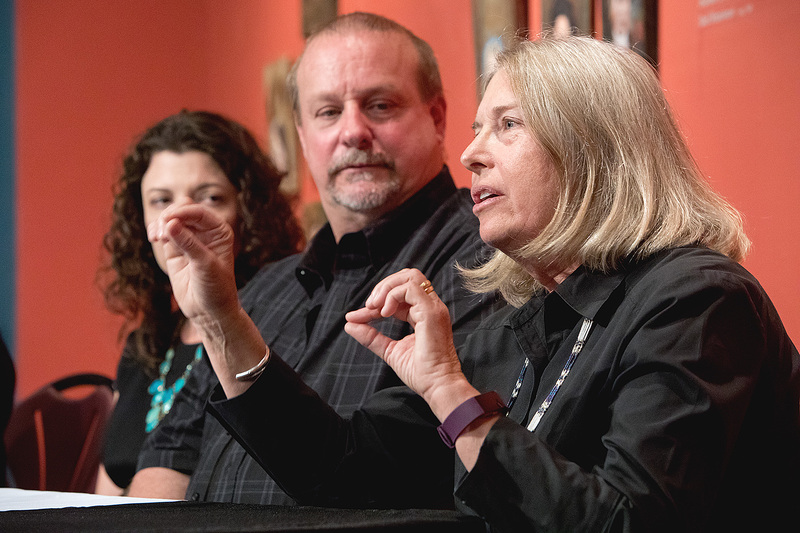 Karpiscak was contacted by the museum's current curator, Olivia Miller, after the de Kooning had been identified in Silver City, New Mexico, and brought back to campus. "When I got the call from Olivia, it was unbelievable," said Karpiscak, admitting to some sleepless nights from the excitement. "In less than 10 percent of (theft) cases is anything retrieved. It's as if a relative went missing and has returned." Goldberg was working at the museum on the morning of Nov. 29, 1985, when "Woman-Ochre" was stolen. He had been followed into the building that fateful day by an unidentified couple suspected in the theft. "We had a guard named Tony," Goldberg recalled, "and I heard him screaming. I thought he'd had a heart attack, but he was saying, 'They stole it! They stole it!' It felt like cutting out your own heart. I was sick to my stomach." 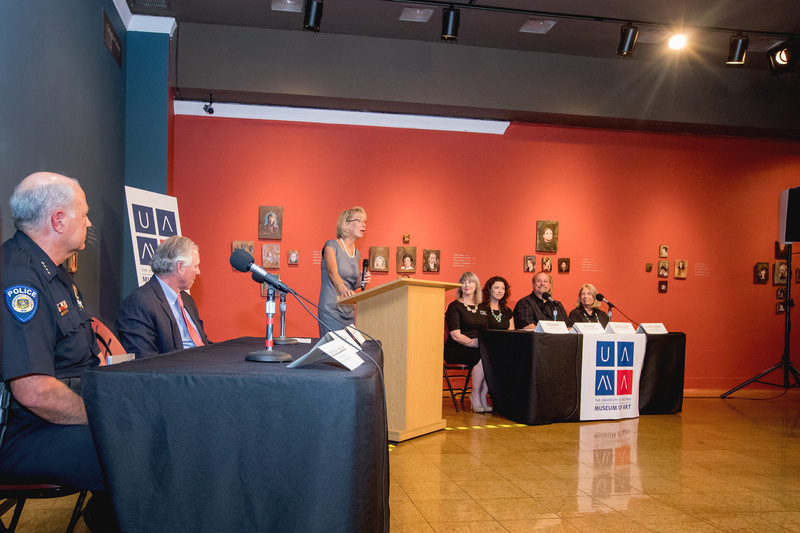 Warm feelings filled the room for the news conference, which included remarks from Odegaard, Miller, UAMA interim director Meg Hagyard, UA Senior Vice President Kimberly Andrews Espy and UA President Robert C. Robbins. 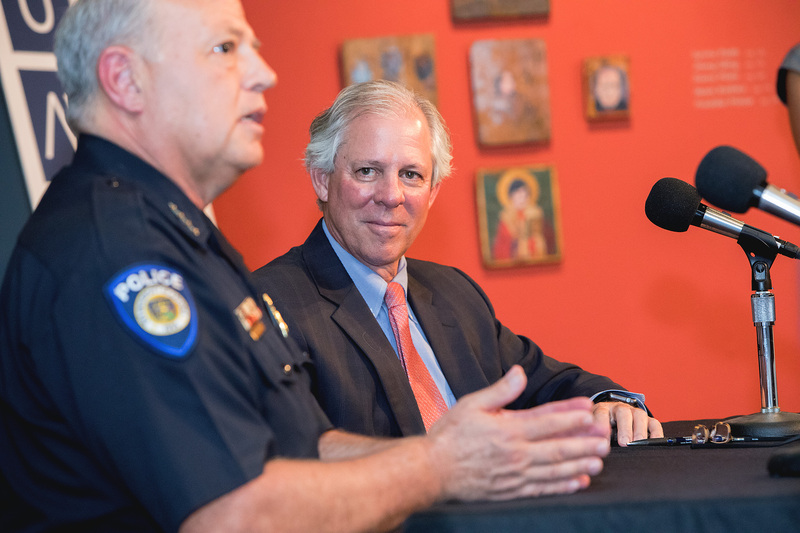 Brian Seastone, chief of the UA Police Department, and David Van Auker, the New Mexico antiques dealer who found the painting, also spoke. 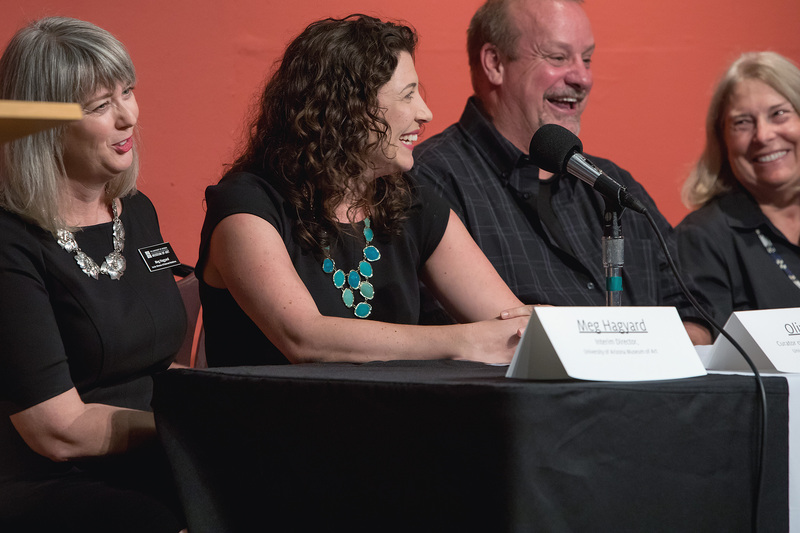 "I've been getting messages from friends all over the country saying I've been on the job less than three months and I've already solved a 30-year mystery," Robbins quipped. 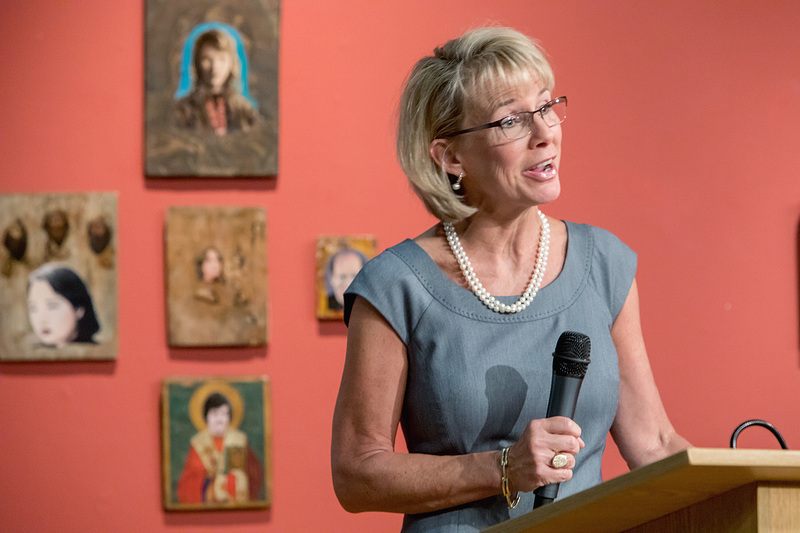 The painting's recovery "brings new light to this museum and to all the arts at the University," he added. 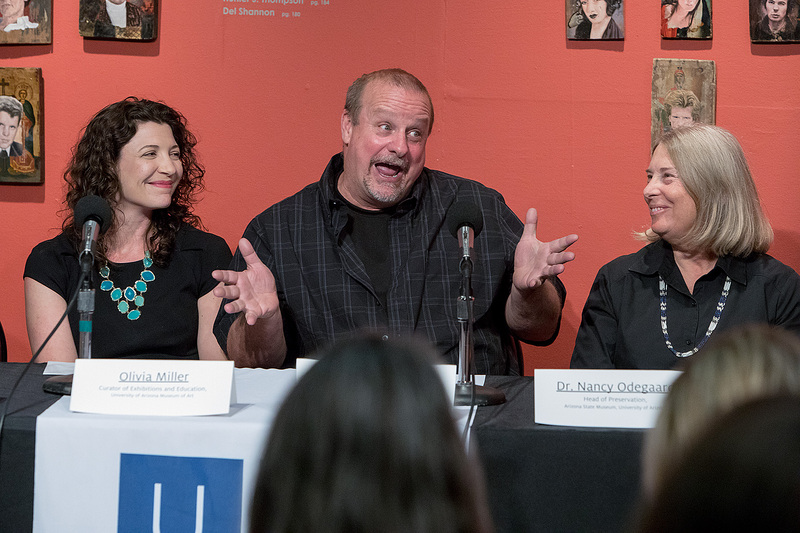 "This is just another example of the incredible value the arts bring." Van Auker, who was accompanied by his business partners, had the most poignant message for those in attendance, insisting that he's not a hero. "We returned something that was stolen, and that's something everyone should do," he said. "That's the way we were raised. We didn't even have a discussion about it. We just knew it had to come back. This should not be unusual. It should be the norm."